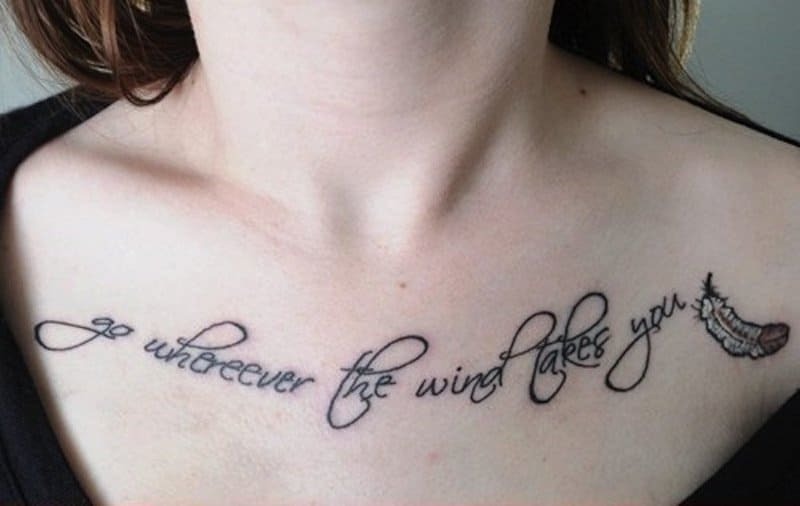 Not only did this poor soul get an extra E in “wherever,” “Go” wasn’t capitalized. Ouch. 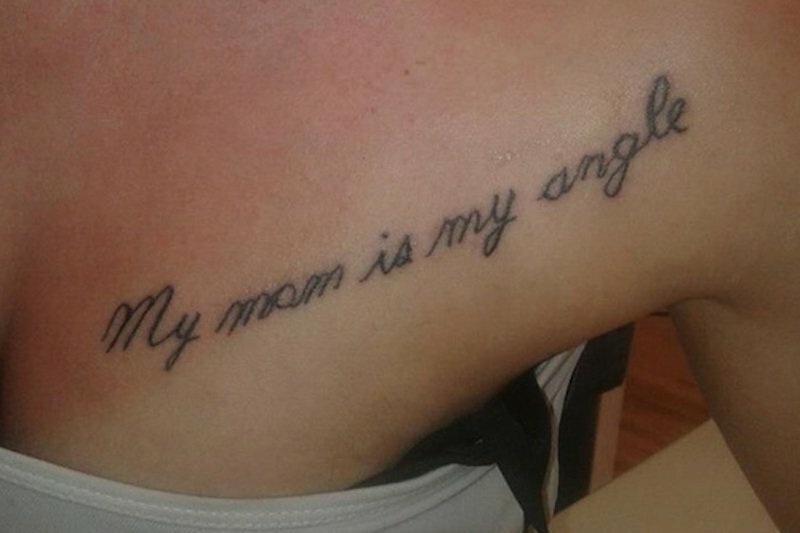 Looks like what they meant was “Thanks Mother for my life.” Maybe that same mother didn’t teach him how to spell. Looks like this guy thought he was being really clever having the tip of the star make an A in sacrifice. 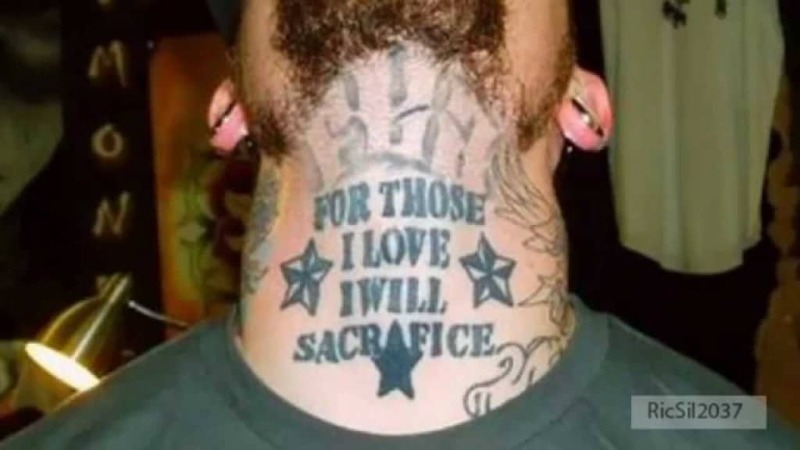 Problem is, sacrifice only has one a, and it’s in the wrong spot. 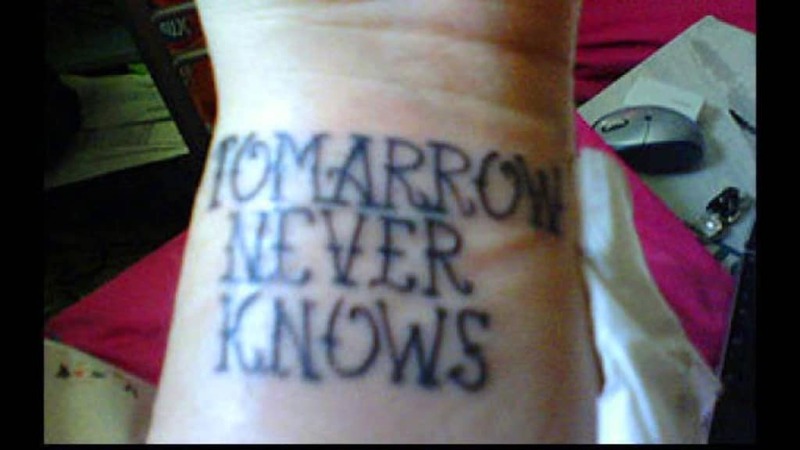 Tomorrow never knows what? 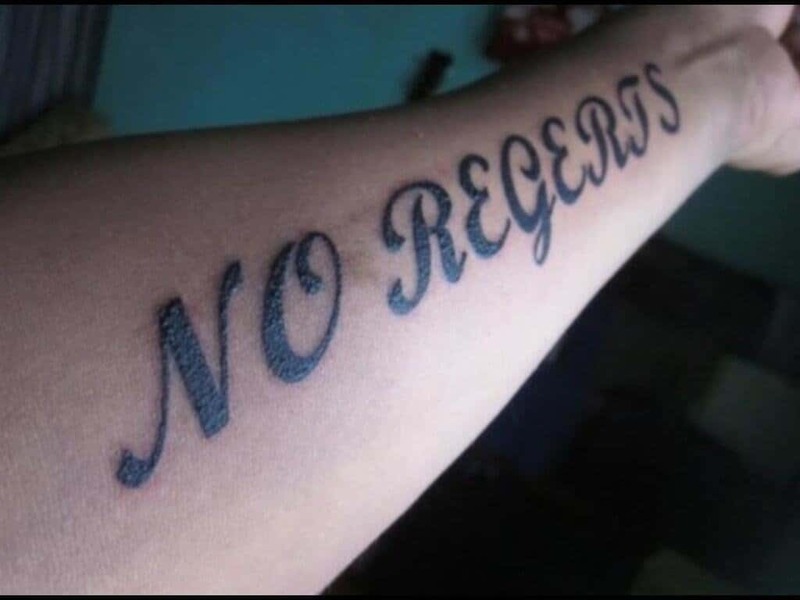 How to spell, probably. 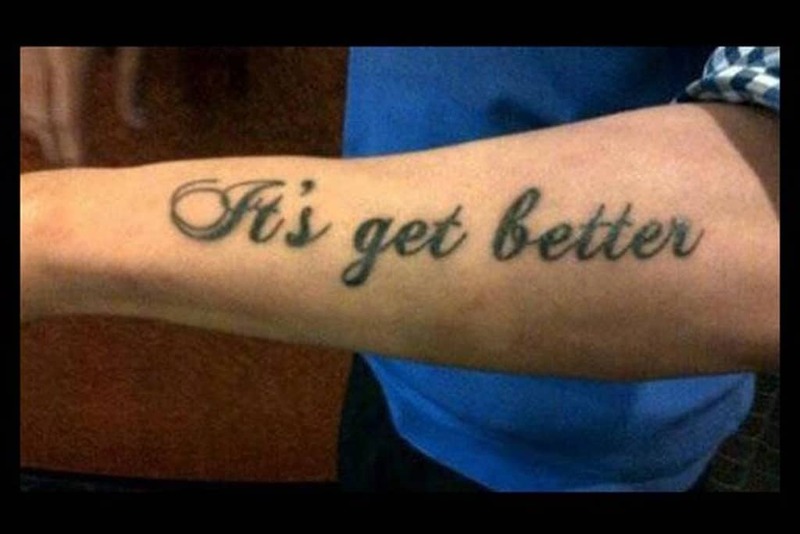 All the proper letters are there, but the problem is the S needs to be moved over about three spots. 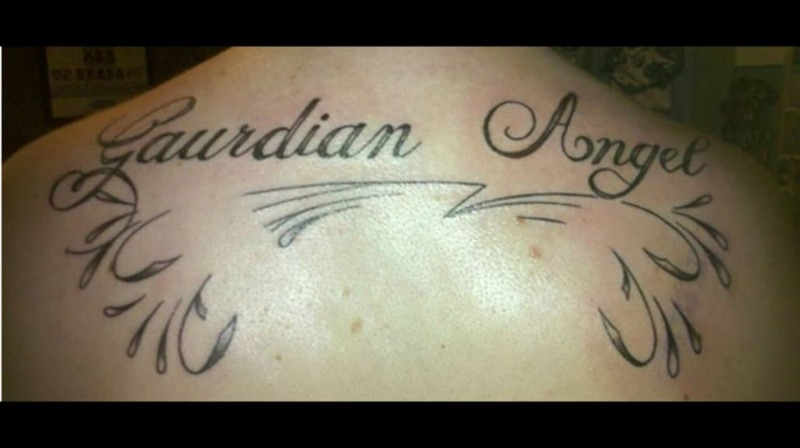 Too bad his guardian angel wasn’t around to intervene when he was getting a misspelled tattoo! 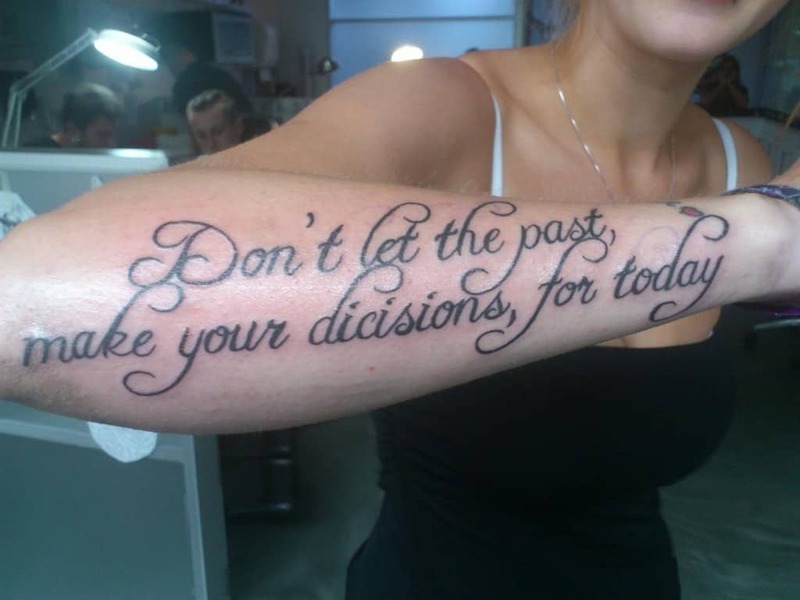 This one is a double whammy: not only is decisions spelled wrong, but there are a couple of extra commas floating around there too.